Using My KNOX, you can access your work email and other business apps on your smartphone in a secure workspace. Your personal data and apps are outside this secure workspace, and they remain completely private. 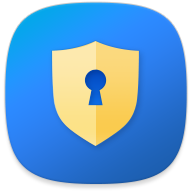 All data inside Samsung My KNOX is encrypted, providing a secure and productive way to access confidential email and apps. Finally, all this functionality is possible without requiring support from your IT admin.